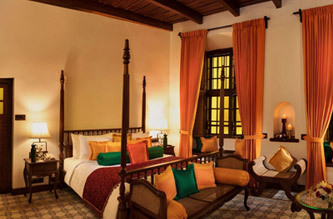 With its bright yellow walls reminiscent of Portuguese streets, tinted windows and plush colonial interiors, Hotel Forte Kochi celebratesthe confluence of a multitude of cultureson the city – a perfect place to soak in the vibe of the Biennale. Flash Sale – Get Flat 20% off on your Biennale 2018 stay. 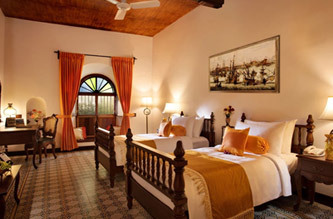 Book 15 days or more in advance to visit the Biennale and get 15% off. Don’t miss out on the experience of a lifetime. The Biennale is a celebration of art in the heart of God’s Own Country, invoking Kochi’s historical cosmopolitan legacy. The Chinese, Portuguese, Dutch, French and British have all found in Kochi an inviting home at various points of time over the last eight centuries, leaving a special influence on the local culture and architecture – just what you will find in the rooms & hallways at Hotel Forte Kochi! 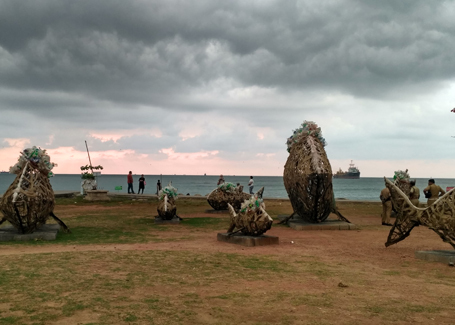 In its fourth iteration, Biennale 2018 promises to turn Kochi once again into a Mecca celebrating arts, history and culture, playing host to artists, journalists, reviewers and tourists from around the world. 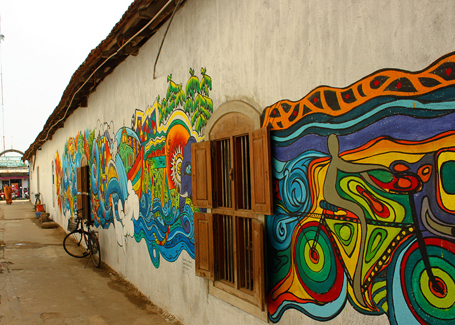 The Kochi Biennale Foundation (KBF) was founded 2010, giving artists, curators and the public a common platform to display Indian and International art & aesthetics. Biennale 2018 is curated by Anita Dube and will run from 12 Dec 2018 to 29 March 2019. Whether you are visiting as a family, an art enthusiast, a casual traveller, or even a student, the Biennale offers a rich programme of talks, seminars, screenings, music, workshops and educational activities – there’s bound to be something for everyone. 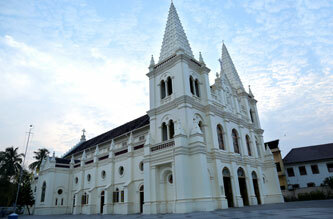 The Biennale celebrates art in the heart of God’s Own Country, invoking Kochi’s historical cosmopolitan legacy. 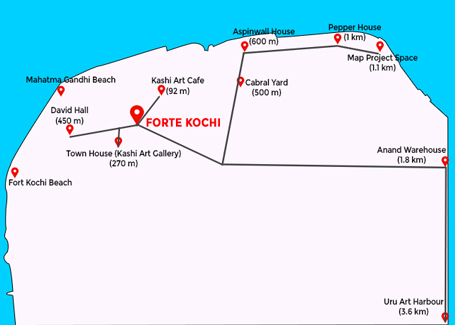 The Chinese, Portuguese, Dutch, French and British have all found in Kochi an inviting home at various points of time, leaving a special influence on the local culture and architecture – just what you will find at Hotel Forte Kochi! 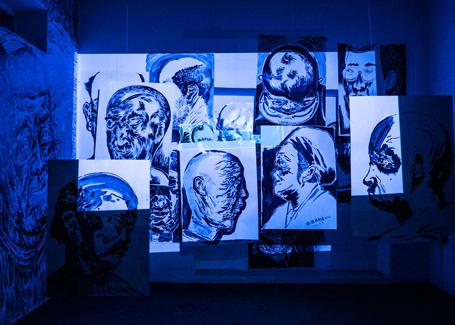 The Kochi Biennale Foundation (KBF) gives artists, curators and the public a common platform to display Indian and International art & aesthetics. In its fourth iteration, Biennale 2018 is curated by Anita Dube and will run from 12 Dec 2018 to 29 March 2019.